Excited to Announce #Guelph Hydro & Alectra INC. to Enter Merger Discussions! Guelph, Ont., October 18, 2017 – After more than a year of gathering community input, conducting industry research and performing in-depth financial analysis, the City of Guelph today announced it will begin merger negotiations between Guelph Hydro Electric Systems and Alectra Inc.
For Guelph Hydro customers, a merger with Alectra would help keep downward pressure on rates, an increased focus on innovation, and continued operations in the city of Guelph that includes the same reliable service and dependable local crews responding to local calls. 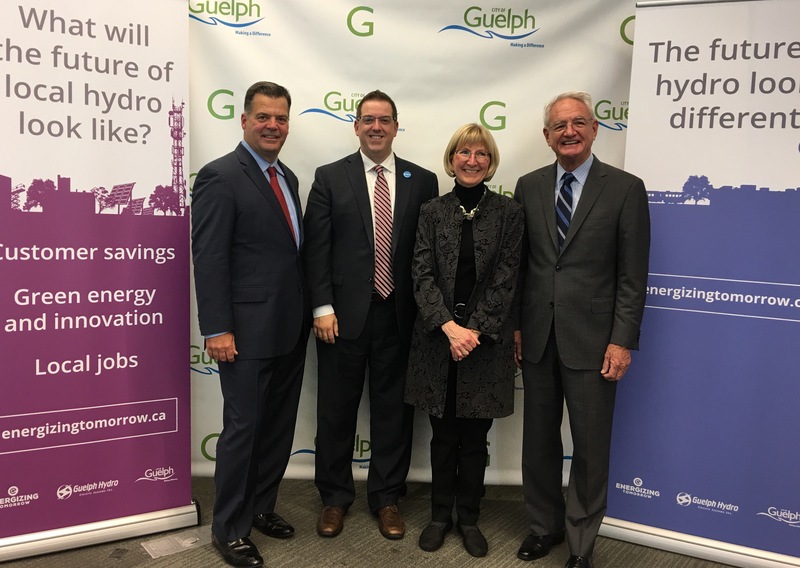 Guelph Hydro would become part of a municipally-owned utility that is investing in emerging technologies that will benefit customers and help attract new business to Guelph. As part shareholder of a larger municipally-owned utility, the City of Guelph is expected to receive larger annual dividends, which will be re-invested in our community. As the first electric utility in Southwestern Ontario to merge with Alectra, Guelph stands to benefit from local employment opportunities, including a Southwest Ontario Operations Hub at the site of Guelph Hydro’s current headquarters and a new Green Energy & Technology Centre, allowing for the development of innovative technologies and green energy solutions here in Guelph. Public consultation has been a cornerstone of this initiative since it launched one year ago, and citizen-selected decision-making criteria helped inform Guelph City Council’s decisions thus far. Guelph Hydro customers can learn more and have their say at one of several opportunities for public input, to be announced in the coming weeks. Community members can also visit energizingtomorrow.ca for more information and to submit questions and comments about the merger. Following the next phase of community consultation, Guelph City Council will vote on the merger at a public meeting scheduled on December 13, 2017. “This term, Council has been dedicated to reviewing city assets to ensure they achieve their greatest potential and value for our citizens and businesses. Guelph Hydro is one such asset that was reviewed over the past year. Throughout this process we listened to our residents. You told us you wanted better rates, the same reliable service, a local presence and to be properly positioned for the future. We’re confident that a potential merger with Alectra would be best way to deliver on these goals.” – Cam Guthrie, Mayor of Guelph. “Guelph Hydro and Alectra share the same values as they are both municipally-owned utilities committed to excellent service and innovation. Guelph is a recognized energy leader and Alectra is one of the most innovative utilities in the business. A partnership will result in a Southwest Ontario Operations Hub and a new Green Energy & Technology Centre—important investments that will benefit our city in the years to come.” – Derrick Thomson, Chief Administrative Officer, City of Guelph. “The exceptional reliability, service, and dedication to finding innovative energy-saving solutions that Guelph Hydro provides to customers will be preserved and enhanced by the opportunities presented by a merger with Alectra. Our industry is changing and the ability to maintain the level of service our customers have come to expect will be challenged in years to come. Through this partnership, Guelph Hydro customers will continue to receive service from local crews while at the same time benefitting from the depth of resources that Alectra brings in the areas of innovation and technology. – Jane Armstrong, Chair, Guelph Hydro Electric Systems. “Our history of bringing utilities together has taught us that the whole is greater than the sum of its parts, especially when it comes to providing customers with reliable, cost-effective service and more choices through the use of emerging energy technologies. We believe the City of Guelph and Guelph Hydro’s vision for how to serve customers, now and in the future, aligns well with that of Alectra and our shareholder municipalities.” – Brian Bentz, President and CEO, Alectra Inc.
Alectra’s family of energy companies distributes electricity to nearly one million customers in Ontario’s Greater Golden Horseshoe Area and provides innovative energy solutions to these and thousands more across Ontario. The Alectra family of companies includes Alectra Inc., Alectra Utilities Corporation and Alectra Energy Solutions. 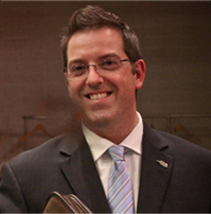 Eric Fagen, Director, External Communications, Government and Corporate Relations Alectra Inc.
totally agree. I’m sure no tax payer in Guelph is “Excited” by this. I know I am NOT.